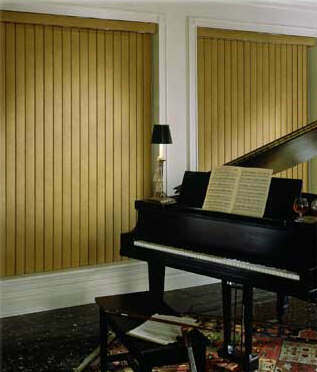 USA Blinds Vertical Blinds are the traditional choice for larger windows and sliding glass doors. Verticals have always been a popular window treatment, and now with dozens of colors to choose from you can let the designer in you go wild. Available in modern fabrics for a softer appearance or vinyl for the traditional Vertical look.